Friday, 11 April 2014: One Year, One Week and Three Days Old. Ayla took her first steps today! Don’t get too excited though… Ayla’s first steps were in the pool! We have a huge pool at our place and at one end there’s an inbuilt spa with a big seat capable of fitting five or six adults, so that’s where Ayla learned how to put one foot in front of the other. For weeks now Ayla has been practicing how to stand by using Hubby or I as balance posts for pulling herself up to standing on the couch while we sit, but I thought she was still a long way off walking. Until today when Ayla somehow put two and two together and let go of the side of the pool, then took two steps toward me. I was stoked, surprised and so proud, but it didn’t last long. Ayla was so pleased with herself that she transformed in to a crazed, one year old female version of Evil Kneivel and began launching herself into the depths of the pool. Ayla must have swallowed a litre of water in her “look-I-think-I-can-swim-but-I-can’t” stunts, but still it didn’t deter her. After Ayla got bored of freaking mummy out by trying to run and jump off the step, she decided to up the ante by getting out of the pool so she could crawl and fall off the edge instead. In short, my nerves are shot. It was bloody hard work keeping track of Ayla, even when I held her she was still squirming to dive under, and I can totally see how tragic pool-side accidents happen. 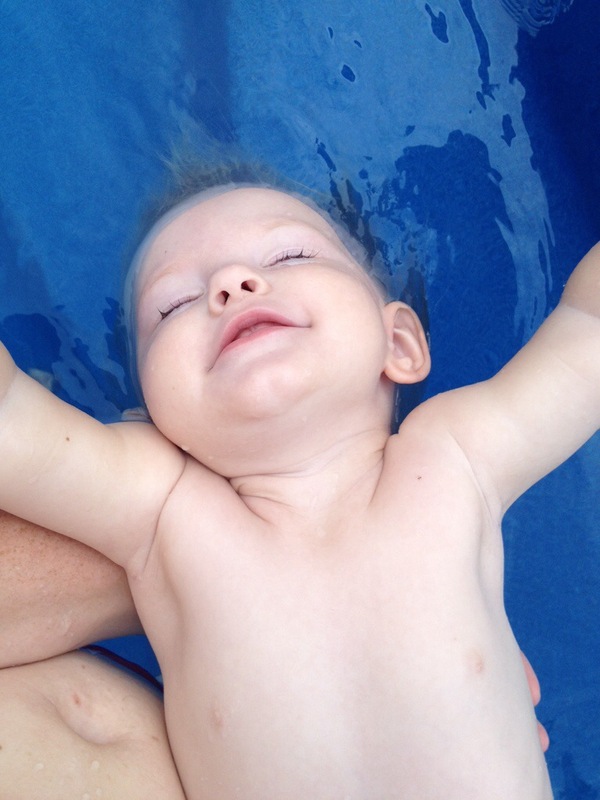 Teach your kids to swim – it’s great! And learn how to resuscitate!